You are a special person and Doe Ridge Pottery can help you plan that perfect wedding with a unique wedding registry that you select yourself. 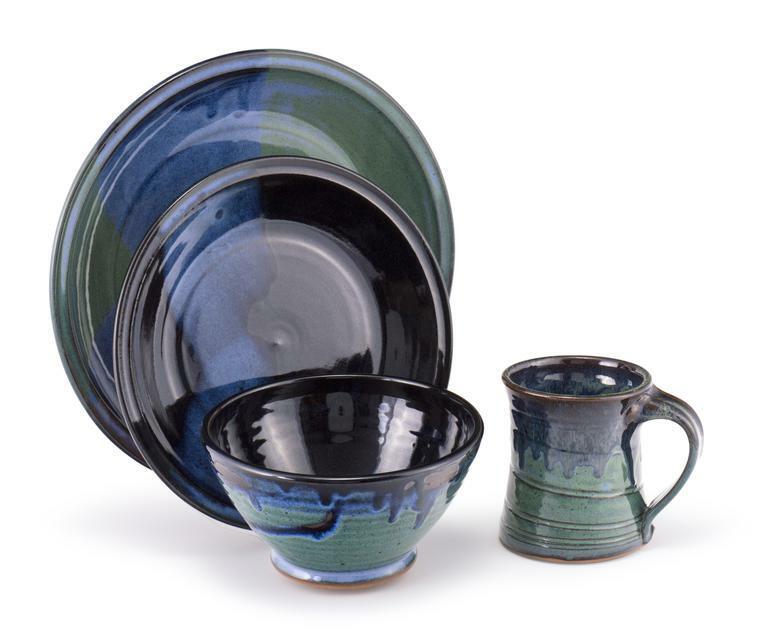 Let us help you choose a set of dinnerware that fits you and your significant other best. A four piece place setting can look different for each bride and typically includes a dinner plate, dessert/salad/sandwich plate, soup/salad bowl, and mug. Other items that can be added or substituted are cup & saucer, cafe latte cup & saucer, soup mug, goblets, finger bowl, or juice tumbler, as well as any other of the many items we make.